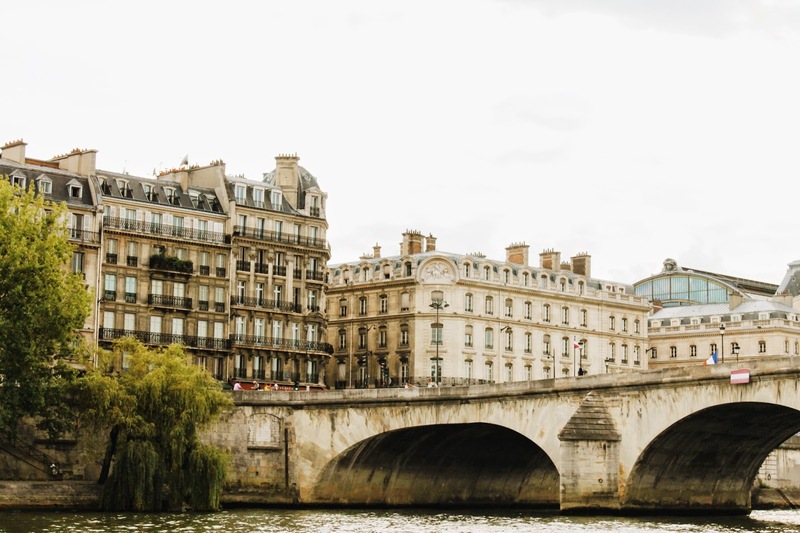 SARAH ELIZA: August 5th & 6th: France. The morning of the 5th, we were off on to the tube to St Pancras station to catch the Eurostar to France. It was a pain free journey which I spent reading and watching some last episodes I'd downloaded on to my Ipod before we left. It was quick and before we knew it we'd arrived in Bastille where we'd be staying for two nights. We got a taxi to our cheap, very standard hotel where after dumping our bags and freshening up, we headed straight to the French metro to get a train to Paris. After taking, we arrived in Paris and we headed straight to the Eiffel tower which was a two minute walk away. 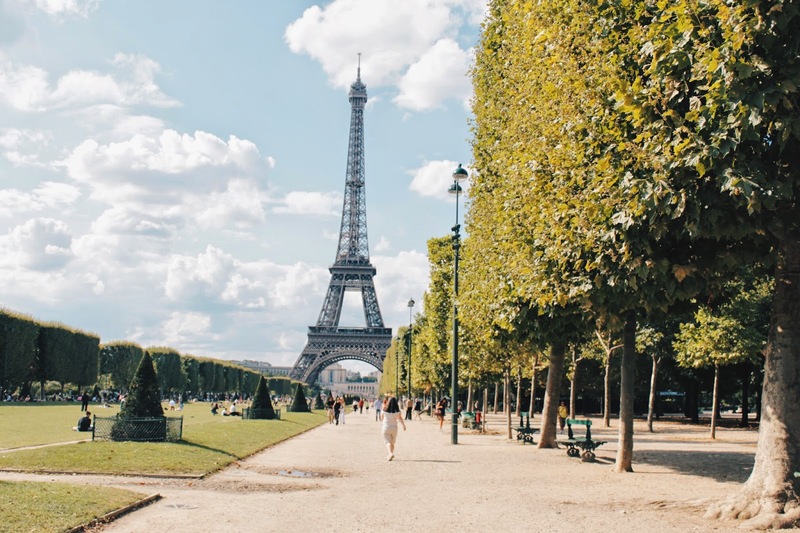 We walked through the park that faced the Eiffel tower passing those intimidating men offering you bracelets and Eiffel Tower key rings which was one aspect of France I've hated every time I've been. 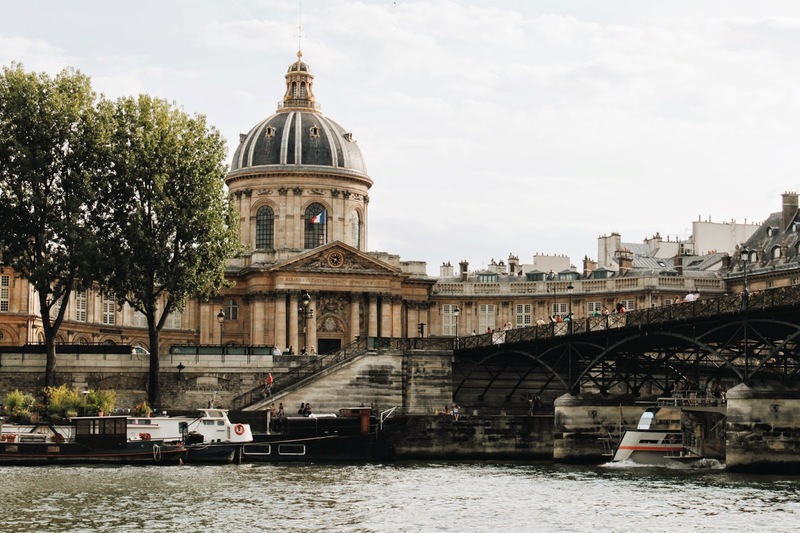 We'd already planned to catch a boat to take us along the river Seine as we thought it would be the best way to see everything in a short space of time. I'd been on one of these before and was hoping for it be open top and great for snapping photo after photo. However, sadly, while we manages to get on to the boat, the seats on the top were full up and so we spent the hour and half of the boat journey stood downstairs trying to get a good view. Once it had finished, we were starting to get hungry so we ended up stopping at a restaurant just down from the metro station. I had lamb and green beans and it was gorgeous! The best thing about France restaurants is that they always just give you bread and if you eat it all, it's no problem they bring more! We headed back to the hotel after taking the metro where I got ready to bed, watched a film on the laptop and fell asleep. For such a budget hotel with nothing really given to you other than your room, the beds were incredibly comfy! The next morning we woke up to rain which really set the mood for the rest f the day. We caught the metro again but this time we headed to Sacre Coeur. This along with the Eiffel Tower are the worst places for men trying to stick a bracelet on your hand and making you pay an extortionate amount along with people selling Eiffel Towers again. There was a small place to eat so we went there to have a late breakfast; I thought it was tie I had a nutella and banana crepe! It was still raining but we headed inside Sacre Coeur to have a quick look around. It wasn't like walking round abbeys or cathedral's in Britain which I actually really enjoy; they seemed to be very strict about being very quiet. It kept us out of the rain for a while before we decided to find something else to do. None of us were really in the mood and the weather really didn't help but we headed to Notre Dame to get a closer look. The queue was ridiculous snaking in and out and we weren't that desperate to see inside so we just headed back to the hotel. A few hours of down time and then we headed back out in to Bastille where we were staying to stretch our legs and find somewhere to have tea. I thought I'd go for the very traditional option of Fish & Chips! As you can tell I'm not very adventurous when it comes to foreign cuisines! France was probably my least favourite place to have visited on this trip and I think the weather payed a big part in that as it really dampened the mood, quite literally. Also having been there numerous times now, I'm starting to get bored of it which is quite sad but having said that I know I'll be going back their on my own once I've scrubbed up on my French to see all the little things I missed! We headed back to bed because it was an early start to get the train to Switzerland! Have you been to France? What did you do there?